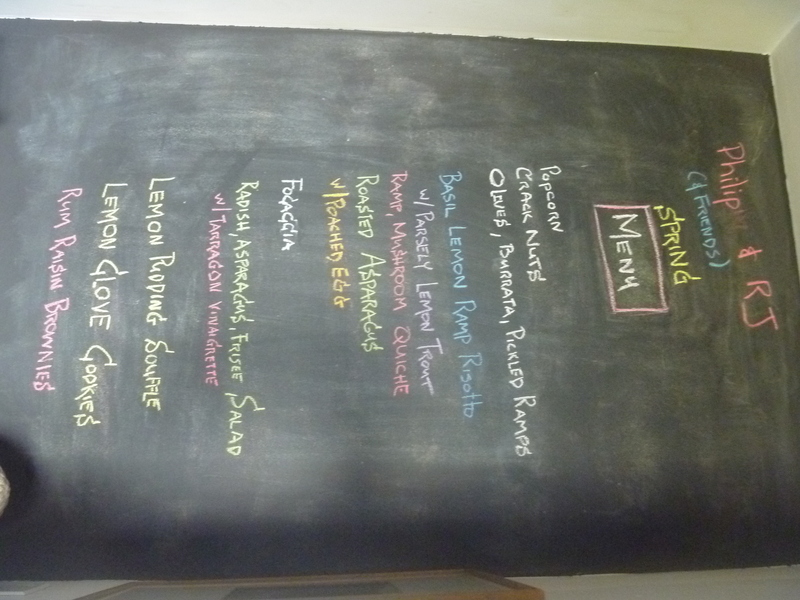 Spring Menus and the Dangers of Trying New Recipes. The bottom item on this menu, the rum raisin brownies, was a total disaster and I threw it out. It was my first attempt at making a Donna Hay recipe the much touted Australian version of Martha Stewart on steroids. Here books and magazine are art directed to such a high level of perfection the food becomes more like precious objet to be admired than anything you might want to eat. Anyway, I’ve owned her book Flavors which I bought for a buck at a yard sale and was looking through it when I came across the recipe for rum raisin brownies. The concept of Flavors is great: each chapter is dedicated to a flavor like Ginger, Lime, Cinnamon and Spice and of course Chocolate. 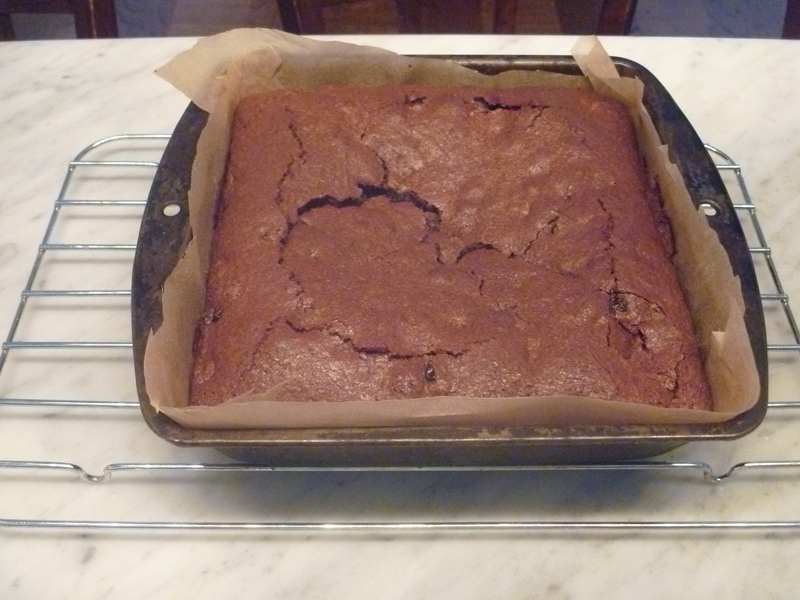 Which is where I found the rum raisin brownies, a brilliant idea, I thought, and one I would like to try, so I did. Well… here is the deal, I already was a bit suspicious because of the picture: a perfect cake like rectangle of brownie set atop a mysterious pillow of thick creamy unidentified wonderfulness lightly dusted with coca. Lovely, accept none of that is in the recipe. There is no narrative to explain what the creamy substance the brownie is set on is or how they managed to get a brownie with 4 eggs in it have a perfectly cake like top. My experience with brownies is that they always have that crinkly top which is the result of eggs, chocolate and butter mixed with a little flour in a rapid and easy manner usually resulting in a delicious, sweet, chocolate confection. With rare exceptions most brownies do this, unless they are very cake like which is what I was thinking this was going to be as the recipe calls for a small amount of baking powder and a cup of flour. Anyway, the bottom line is that after an hour and 10 minutes in the oven I took these suckers out and let them cool. The instruction is to cook for 50-60 minutes until “set”. Well it seemed set to me and I kept thinking what an awfully long cooking time for a brownie, right? So I took them out. And before you leap to: maybe your oven is on the cool side – this is the singular time I have had this problem and on this particular day I had the oven all day. Everything else turned out perfect. In the end what most pissed me off other than the raw batter center, the crinkly top which looked nothing like the picture and lack of narrative describing the ideal way of presenting them was that they were neither redolent of rum and raisin nor were they chocolatley enough for me. So I did my best Mary Tyler Moore in Ordinary People impression and dumped them into the trash. My guess is that the picture is a representation of brownie as deconstructed Tiramisu the rum infused brownie sits on a bed of cocoa dusted mascarpone cream. A wonderful idea, but why not tells us about it? I’d love to hear from anyone else who has made recipes of Ms. Hay’s and see if this was an isolated incidence or what. She is so damn popular I can’t image people are just buying the books for the pictures? As it was, I intended to have three desserts so that one was a fiasco din’t much matter. Moral of the story don’t try new things when you are making a dinner party you want to be a sure fire success! Here is the brownie from HELL! This entry was posted in NYC, Other Stuff and tagged brownies, donna hay, flavors, rum raisin, Spring Menu. Bookmark the permalink. 1 Response to Spring Menus and the Dangers of Trying New Recipes. It was an exceptional meal! Always perfect Mark.